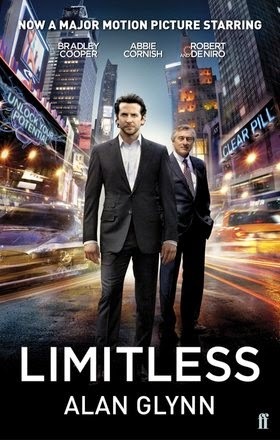 I really didn't think I'd like the movie, Limitless starring Bradley Cooper, Abby Cornish and Robert DeNiro. The actor is very good-looking, almost too good-looking —he was People magazine's choice for Sexiest Man of the Year for 2011. And with his big white toothy smile, and dimples no less, he has always struck me as incredibly cocky and arrogant. So I didn't see it when it came out in theatres last year. But there the film was, newly released on DVD and available to instant stream via Netflix. 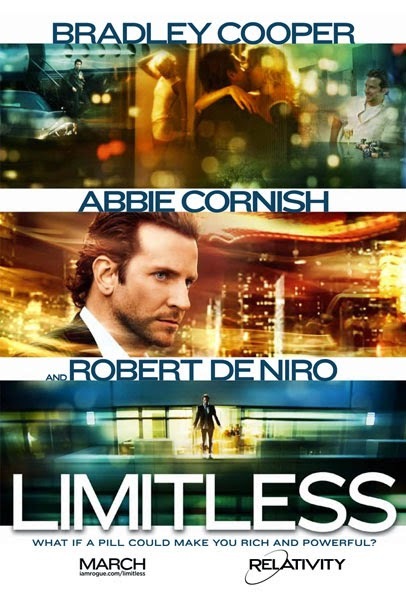 UPDATE: 11/4/2014 Deadline is reporting that Cooper is going to exec-produce a TV version of Limitless for CBS, picking up where the movie left off. I'm a little confused because they're saying it will 'follow Brian Sinclair, the character played in the movie by Cooper' but that's not correct. He played Eddie Mora. 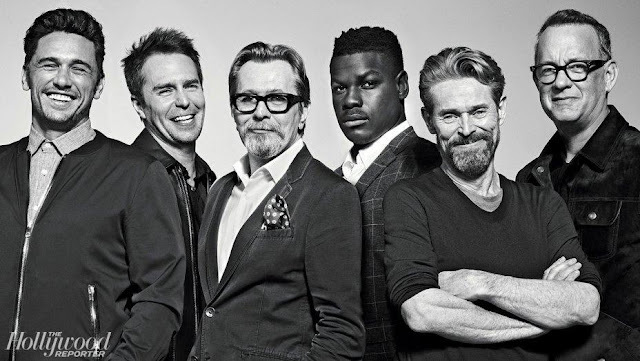 Cooper is doing it under his new production co's banner, it's not clear if he'll star. What can I say; I succumbed. 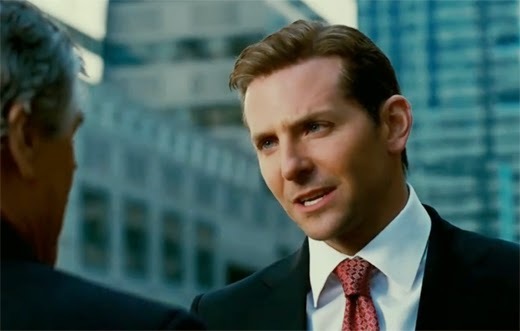 The movie, which is based on the book The Dark Fields by Alan Glynn, (it was re-released as Limitless to coincide with the movie's release) begins with Cooper, slick and suited, standing on the edge of the penthouse balcony of a Manhattan high-rise. He is clearly about to jump and starts to tell us why in one long flashback. The beginning then, is Bradley Cooper's character, Edward Morra, looking drugged out and homeless, being dumped by his bright and beautiful girlfriend played by Abby Cornish. He's a writer with a book contract but he hasn't written a word. She is on her way to being an editor at a major publishing company; she's tired of being with someone who isn't going anywhere, and paying for the pleasure of doing so. He's desolate at the breakup, so when he runs into his former brother in law, he gets sucked into taking the little clear pill he offers him. Edward soon discovers this pill called NZT gives him the amazing ability to use, not a mere portion of his brain, like the majority of us who use something like 20%, but the whole megilla. This ability to harness all his brainpower has him cleaning up his act and churning out a brilliant manuscript in no time. The only problem is he needs more NZT to keep his winning streak going, and getting more isn't easy. Going off NZT isn't necessarily the answer; besides losing your incredible brain power, going cold turkey, Edward finds out, can make you deathly ill.
Needless to say, a drug as powerful as NZT, has a whole lot of interested parties who want a piece of the action. People who will stop at nothing to get it. As Edward uses the drug to climb up the ladder of success, there are definitely those who are trying to stop him, including some thugs from the Russian mafia. I found the story, which got a bit unrealistic in places, mostly very engaging. It was a fresh storyline; the only downside being several coincidences that were just a teensy bit past the point of believability. Cooper though, was terrific. He didn't overuse his physical gifts - I guess the guy can't help it if he's gorgeous - and I absolutely bought him as the guy, both on the upswing and the downswing. 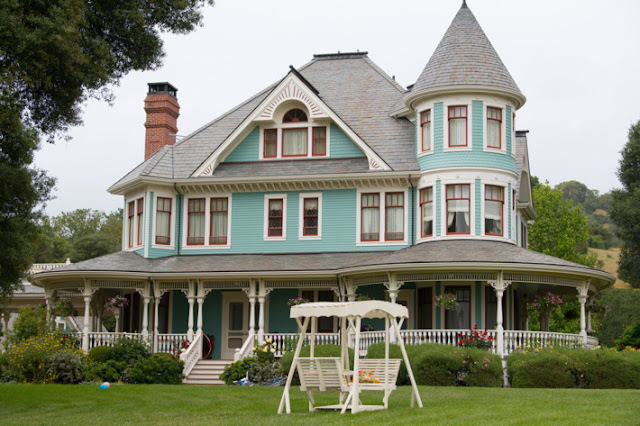 Abby Cornish was lovely as the girlfriend - wistful and wishing it could be another way. Robert DeNiro was not exactly wasted but certainly not challenged in his role as business tycoon. I liked how Neil Burger, the director (he also did The Illusionist with Edward Norton, Paul Giamatti and Jessica Biehl) shot the action. To show Edward's accelerated understanding, he used a technique that sent the image ratcheting forward almost like scenery speeding past a train window. It was very compelling and effective although as the story progressed, the novelty and charm waned a bit. I also liked the enhanced imagery when Edward is supposed to be on the NZT and functioning to the max - the filmmakers used a gold cast over him as well as having him wear turquoise contact lenses. When he was in withdrawl, he looked grey, wrecked, like a junkie. All in all, I enjoyed it. My husband who had no intention of watching it, found himself glued to the screen. Overall I would give it 3 and 1/2 Simmies out of 5 Simmies. Just kidding! Aint no such thing as a Simmy! But we did like it quite a bit as a movie to watch at home on a Friday night. Theatre fare? Probably not so much.